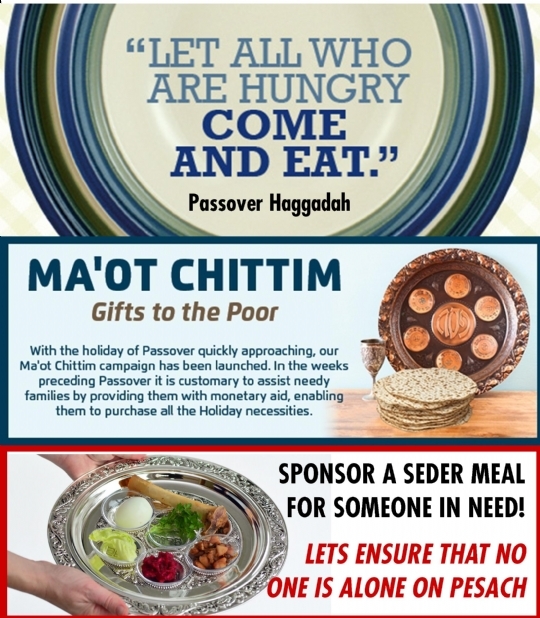 Please consider a gift of a Food package filled with Passover basics for one family. .
(The funds designated for this program, do not have any administrative expenses or red tape involved and every dollar donated accomplishes the goal of feeding the hungry in our community.